Weekly Photo Challenge: Community – music waffle. 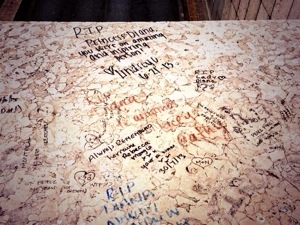 Graffiti on the entrance to the Alma Tunnel in Paris, where Princess Diana died. It bought a lump to my throat. Previous 10 Reasons to love: Elbow, The Bones of You.